Iowa Workers’ Compensation Eligibility | Hupy and Abraham, S.C. Most Iowa employers are required to have workers’ compensation insurance. A private employer with workers who do their jobs in the state of Iowa is required to have workers’ compensation insurance with a private insurance company or to be self-insured. The failure to have the required insurance is a class D felony. 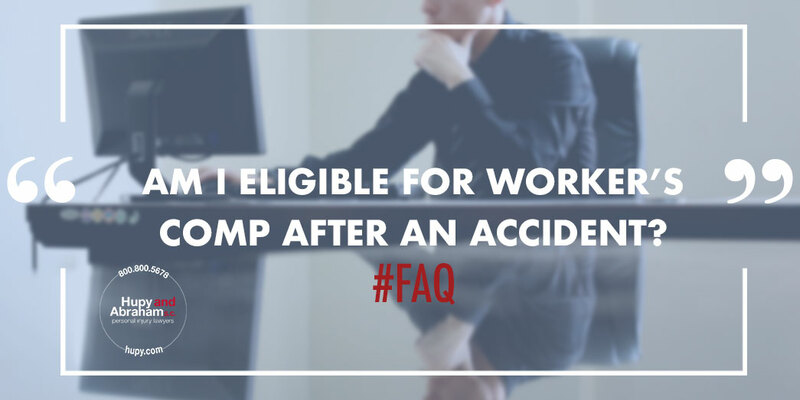 However, while the law may require your employer to have workers’ compensation, you still need to know whether you are eligible for benefits. Your eligibility begins on your first day on the job. There is no waiting period as there may be for other employment benefits. If you can prove that you were hurt in a work-related accident, then you should be able to recover workers’ compensation benefits. Domestic or casual employee who made less than $1,500 in the year prior to your injury. Agricultural employee who is exempt by law. Certain relative of the employer such as the employer’s spouse or the parent, child, stepchild or sibling of the employer or the employer’s spouse (or the spouse of any of these relations). Police office or fire fighter who is eligible for pension benefits pursuant to the Iowa statutes. Proprietor or partner of the business and you are engaged in a substantially full-time employment for the business. President, vice-president, secretary, or treasurer of a corporation and you have elected not to be covered by workers’ compensation law. Employee who is entitled to another method of compensation pursuant to a rule established by the United States Congress. Member of a limited liability company. If you have been hurt at work in Iowa, then it is important to consider whether you may be eligible for workers’ compensation benefits and to take action to protect your full and fair recovery of benefits. For more information about how a workers’ compensation case works or about protecting your individual rights, please contact us via this website or by phone at any time. We would be pleased to schedule a free consultation for you.